(Calgary) The Islamic Supreme Council of Canada (ISCC) and Muslims Against Terrorism (MAT) honour Heather Heyer; an American woman who stood up against hatred and bigotry and gave her life in Charlottesville, Virginia, USA on the weekend while she was attending anti-racism rally. 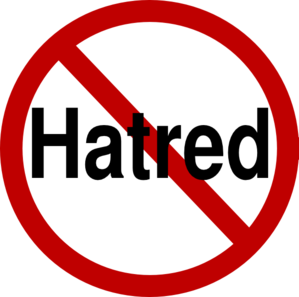 ISCC and MAT strongly condemn violence and terrorism carried out by the hateful and racist individuals and organizations in the United States and Canada. ISCC and MAT offer deep condolence and sympathies to Heather Heyer’s family. We honour Heather and stand with her family. ISCC and MAT also offer deep condolences and sympathies to the families of two Virginia Troopers; Berke Bates and Jay Cullen. They gave their lives while protecting innocent people against hatred. We honour them and stand with their families. “We should not forget the sacrifices of Heather Heyer, Berke Bates and Jay Cullen. They gave their lives for peace and love. They gave their lives in fighting against hatred, terrorism, violence and racism”, said Imam Syed Soharwardy today. ISCC and MAT will be holding a multi-faith memorial service on Friday, August 18, 2017 at 1:30 PM at the Genesis Centre, 7555 Falconridge Blvd., NE Calgary to honour and remember Heather Heyer and other victims of last Saturday’s terrorist attacks in Charlottesville, Virginia. For further inquiries please contact Imam Syed Soharwardy at 403-831-6330. 28|43|We gave Moses the Scripture after We had annihilated the previous generations; as an illumination for mankind, and guidance, and mercy, so that they may remember.